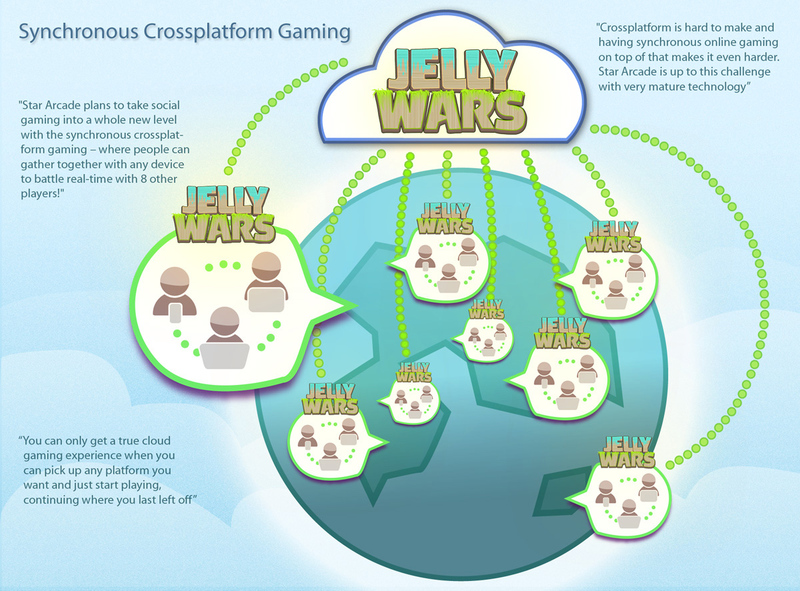 Jelly Wars 2.0 Developer Blog – Peek behind the scenes of the latest social mobile game phenomenon! Peek behind the scenes of the latest social mobile game phenomenon! The day is here. The main day. What day is that, you ask? Well, you lucky gals and gents are finally going to get your hands on the new, better than ever, Jelly Wars! The game is available for download RIGHT NOW in selected countries. The summer breaks are over, but worry not! The Jelly Wars Developer Blog is back in business! This time we’ll talk a bit about Synchronous Crossplatform Gaming, which has been a big deal in Asia for a longer while now, but for some reason hasn’t landed in the West fully yet – not before now. I say boom boom boom, now let me hear you say wayoh! If you got excited about the “Big Booms and the Story Behind Them”, you’re going to love our post this time – it’s time to gear up for the arena with the best bombs available, and the Bomb Factory is your tool for that! Like most of things in-game, we have gone great lengths from original Jelly Wars, and in bomb-crafting (and of course bombing itself) the new title really steps up the game. Jelly Island – Your Base of Operations! Oh boy, you guys and gals are in for a treat this time – we reveal new gameplay aspects, brand new (and longer) video trailer, and more! The main focus will be on the gameplay aspects, as we like to introduce you to a completely new part of the game which we haven’t shared before: The Island. In the new Jelly Wars 2.0 we have broadened the focus from mere head-on battles to ongoing activities that allow you to construct and develop better war gear to increase your odds on the battlefield. Want to know how it works exactly? Keep on reading and you’ll find out! Pimp My Jelly! The new step in character customization! As promised, this time we’ll write about this fabulous fella over here. See him? That’s our master of decoration, the “Pimp My Jelly” Jelly. We talked a bit about how customizing your own jelly has gained more important role in Jelly Wars 2, and also how much those personalization options have evolved in the game. So how does this blue-haired gentlejelly fit in exactly? Keep on reading and you’ll find out. A great game is the combined result of many elements that work seamlessly together – the story, the music and of course – the characters. After the first Jelly Wars, the simple, little bouncy warriors needed an upgrade to match the gorgeous new Jelly Wars 2.0. Jaakko Mehtälä was the man with the mission to do so: “I’ve now been working here for a year, and the first thing they gave me when I got here was this paper with two simple prints – the red and blue Jellys. Star Arcade gave me completely free hands to play with the characters, and that’s exactly what I did”. The picture above is the earliest sketch Jaakko did at Star Arcade, of which the one in the low middle is the closest to what the characters look like today. Well we are certainly glad that Jellys don’t have those wiggly legs, but what’s new, you say? Continue reading and see for yourself!